Powell Peralta® decks are made in the USA at SkateOne’s skateboard manufacturing factory in Santa Barbara, CA using U.S. hard rock maple, AirLam fused with Type 1 glue and are warranted against delamination for their useful life. Blue top and rails. Red Winged Ripper top logo. 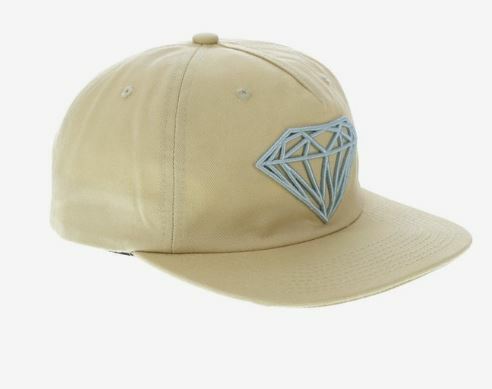 The Un-polo Sports Cap strapback borrows the classic Diamond logo to make hat enthusiasts everywhere look cool! The Nike SB Pro Patch Medium Olive Camo/Black Trucker has the looks and the comfort! The Nike SB Pro Patch Trucker Hat is a structured, with and a . Great deal on Custom Completes! Build your own Complete with all the top brands for only $260! Full of raw power and that 180 switch wall ride – amazing! All our staff are skaters and fully trained to answer all your questions and help you choose the best set-up for your needs. Whether for street, bowl, cruising or downhill, don’t hesitate to talk to one of us at the shop or call 07 5536 2677. Concrete Lines is your one-stop skate shop, providing quality gear to skaters around the country. Since 2006, we have been continuously growing our range of products with the purpose of offering you everything you need whether you’re a street skater, longboarder or just after cool clothing/shoes brands. In addition, we offer other products such as Electric Skateboards, Carver Skateboards, Streetboardz, Freebords and much more. Let’s not forget the kids! We have clothing, shoes, helmets/pads plus a cool range of Mini-Completes for the little grommets! From beginners to pros, we’ve got the perfect gear for you. You will find all the popular brands at Concrete Lines but it is also important to us to support local brands. We carry stock from brands based here on the Gold Coast and around Australia. We sponsor a team of local riders in both street skating and longboarding and support local events. Give us a call if you have any questions about our products or just want to check what is presently in stock. At Concrete Lines, our priority is to offer the best customer service. We only employ skaters who are fully competent to advise you on any product available. Better yet, if you’re close-by, come visit us at our Coolangatta shop! We’re always happy to meet new people and we’ll be able to guide you through your options.